G.Skill rolled out new memory modules for Intel's 9th Gen Core procesors. 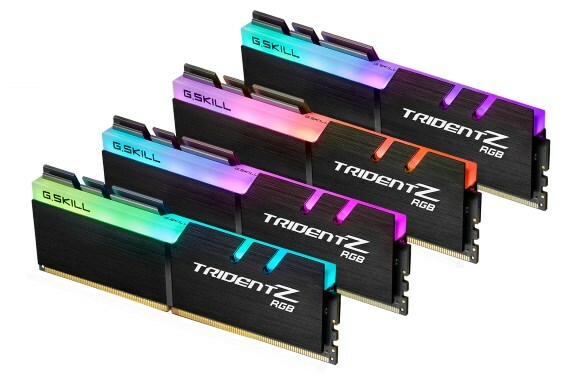 The firm offers DDR4-4800 16GB(2x8GB) and DDR4-4500 32GB(4x8GB) TridentZ RGB kits. Pricing and availability is unknown. In addition to the extremely high-speed memory kit, G.SKILL also raises the frequency limit on 32GB (4x8GB) capacity configurations to a staggering DDR4-4500MHz, which results in an outstanding combination of extreme speed and high capacity.